There are an astounding 10,000+ prescription drugs available in America, and nearly a third of adults take at least five of these drugs per day. If you happen to be a care provider for an aging loved one, the complexity of dealing with the prescriptions, interactions and doses can be challenging. 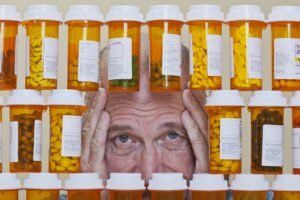 In fact, research has revealed that 55% of prescription meds are not being taken accurately for a wide variety of reasons, and the outcomes can be severe. Keep dangerous senior medication mistakes to a minimum and receive the ideal benefits of the medication by following these tips to help manage medications effectively. Furthermore, make sure to have your loved one’s doctor frequently perform a medication review to determine which medications are still necessary and which ones could be eliminated. The California senior care experts at Hired Hands Homecare can help with senior medication management by setting up medication reminders, picking up refills, communicating with physicians and pharmacists to assure medications are being taken correctly, and more. Contact Hired Hands Homecare today at (866) 940-4343 to learn more about proper medication management.